Serene, rolling countryside belies the distant carnage of many a bitter battle. 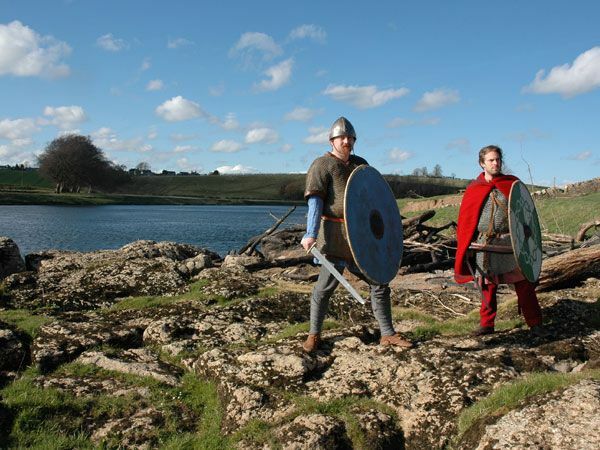 Some of the greatest battles in British history were fought out on Northumberland soil. The year 793 marked the Vikings bloody raid on monks living on the Holy Island of Lindisfarne, who fled the slaughter with the bones of St Cuthbert and the celebrated Lindisfarne Gospels. Nowadays birdsong can be heard at Flodden, but in 1513 the horrific sound of 14,000 men being slaughtered in battle echoed around the hillside. 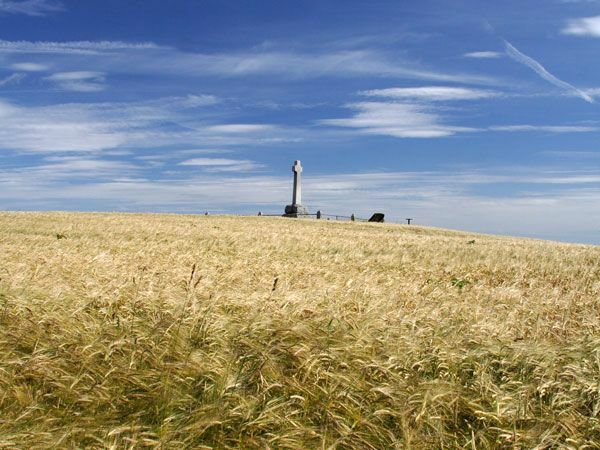 The ‘forgotten’ battle of Flodden which claimed the life of Scottish King James IV, changed the relationship between England and Scotland forever. A Scottish attack on Northumberland in 1388 saw Shakespeare’s hero Henry Percy admit defeat following the brutal Battle of Otterburn. Fortified homes called bastle houses in which farmers lived above precious livestock are evidence of the lawless Border Reivers years. At its height in the 16th century, the Border Reivers lived by their own brutal code of conduct to survive. Crops were destroyed, livestock stolen and people murdered or simply disappeared. Beat a track to Berwick-upon-Tweed to see evidence of more recent conflicts. Today, Berwick is just four miles south of the Scottish Border. But during the last 300 years, control of the town swapped 13 times between England and Scotland. Once one of Scotland’s most important ports, Elizabeth I embarked on the biggest and most expensive project of her reign building the massive stone ramparts to keep firm control of this key town. Costing £128,000 to build, Berwick’s Elizabethan town walls are the most intact in England.